Luke Evans is a Welsh actor popularly know for his outstanding performance as Gaston in the Disney Live Action Adaptation movie Beauty and The Beast. Before this movie, he had quickly built a resume of great movies which further opened more opportunities for greatness. Some of these movies include; Clash of the Titans, Dracula Untold, The Hobbit, and others. Though he earlier planned on becoming a singer because of his love for music, however, it was acting that gave him the exposure to fame. Luke George Evans was born in Pontypool, Wales on the 15th of April 1979. He was raised as the only child and son of his parents Yvonne and David Evans, in Aberbargoed, a small town located in Rhymney Valley. His parents who are devout members of Jehovah’s Witness raised him in that direction however, he left the religion when he turned 16 and dropped out of school. The following year when he turned 17, he relocated to Cardiff where he began taking classes under the supervision of Louise Ryan who was a popular voice coach. He also won a scholarship in 1997, to study at the London Studio Centre and he graduated in 2000. Though his career practically began on stage where he made appearances in a good number of West End Productions, he has since gone on to star in movies that where hits. Some of these movies include; the re-imagined The Three Musketeers, Immortals both released in 2011 and The Raven in 2012. His biggest movie yet is the 2017 Disney live-action adapted movie, “Beauty and The Beast” in which he starred as Gaston. In the past, being gay came with lots of stigmatization which could have dire consequences for the person in question. In movies, this was almost unheard of especially if you were a male. Roles could be lost because casting would have been based on the alpha male kind of persona and if an actor has come out publicly as gay he most definitely might have his career in jeopardy. Now, however, things are very much different from what it used to be. Now an actor can state his sexuality openly and still have a successful career. The story suits Luke as he is indeed a gay man. Unlike many fellow gay actors, Luke has always been open about his sexuality from the start. According to him, everyone knew he was gay and he never tried to hide it. More so, though he knew the importance of marketing a persona that was deemed fitting, he didn’t want to have someone dig up that part of him later in his career thus his openness. That Notwithstanding, he rarely discusses the subject as he believes that his work as an actor should be separate from his personal life or sexuality. One question that has been on the minds of Luke’s fans and enthusiasts alike is his relationship status. For the ladies, it might be heartbreaking to learn that such a buff, talented and handsome actor is actually gay but this is a fact that has already been established. So who is he dating? 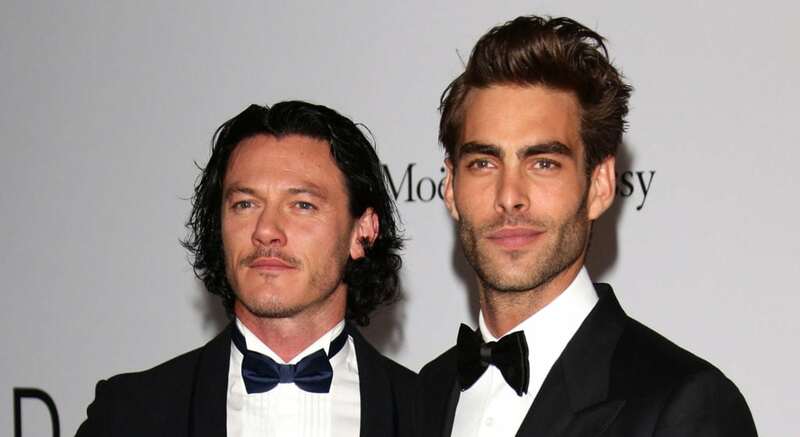 To put you off your misery, Luke is currently in a relationship with Jon Kortajarena. The pair who started dating in 2014 have been going steady and strong. Who knows, their relationship might just end up in marriage. 2. Luke Evans is an openly gay actor whose sexuality has been known ever since he came into limelight. 3. He is the Only Child of his parents who are devout Jehova’s Witness members. 4. He is a very private person by nature and doesn’t like to talk much about his personal life. He believes that people should be able to appreciate him for his works alone rather than other details about his life.